This substantial single level family home is situated in a prestigious street overlooking the calm waters of the local, lake reserve. If you're looking for a spacious home that offers generous alternative areas for your family to live and entertain in then this home is for you. 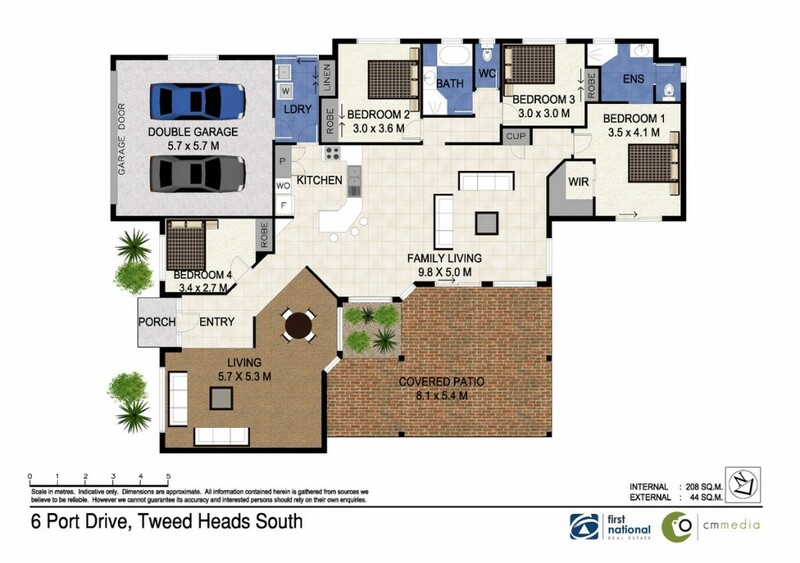 * Lowset brick and tile home with open plan living and dining areas. * Central kitchen with double pantry and loads of bench space overlooks the tiled family living and dining area leading out to a covered paved patio in a private rear yard. * A separate carpeted lounge and dining room offers the adults their own space. * All four bedrooms have built-in wardrobes with the master suite's being a walk- in dressing room. * Ensuite has a private toilet and separate shower, whilst the main bathroom has separate bath and shower. * Double garage gives plenty of storage space and there is room for off Street parking on the block with an additional 3.5metre side access space for a caravan or boat. * This home is close to public transport, a short walk to schools, local Coles supermarket and Twin Towns Juniors sporting club. An ideal home for a family or retiree with no rear neighbours, covered patio and access through to the back yard for your caravan, camper or boat. All open home times are displayed in NSW time. If you cannot make the scheduled appointment time please call me on 0402418342 for a private viewing.